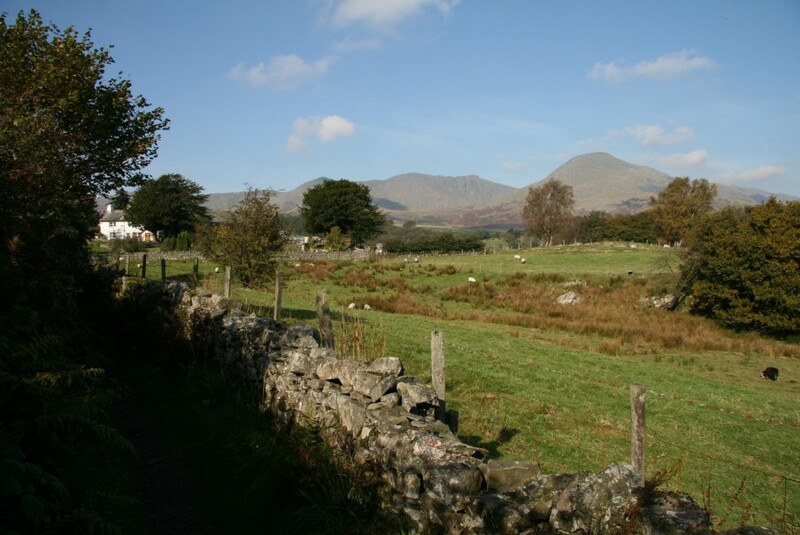 Last year we gave the Coniston Trail a rest. It was a very tough decision to make. We’d brought forward the big Dirty Double weekend into October in the hope of better weather, although a fat lot of good that did us! 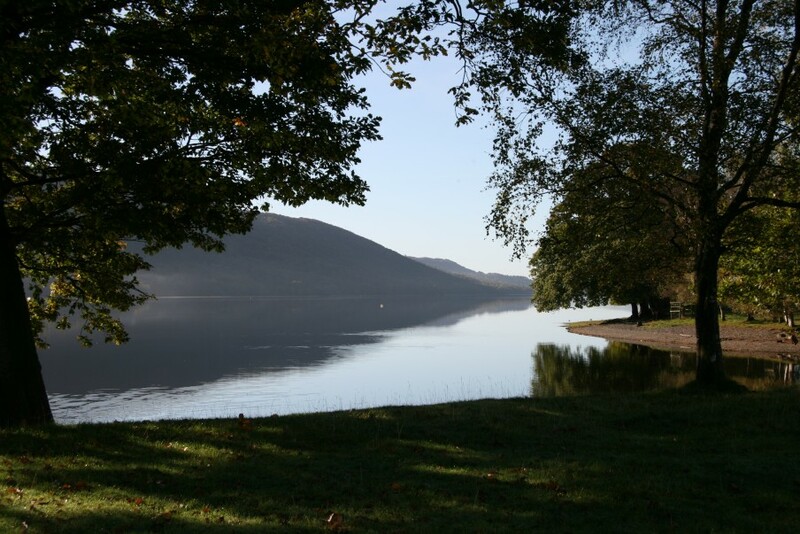 We found our autumn calendar much too busy to fit the Coniston event into our schedule. So the Coniston Trail is making a welcome return this year on the 22nd September and my thoughts turn to the very first event. 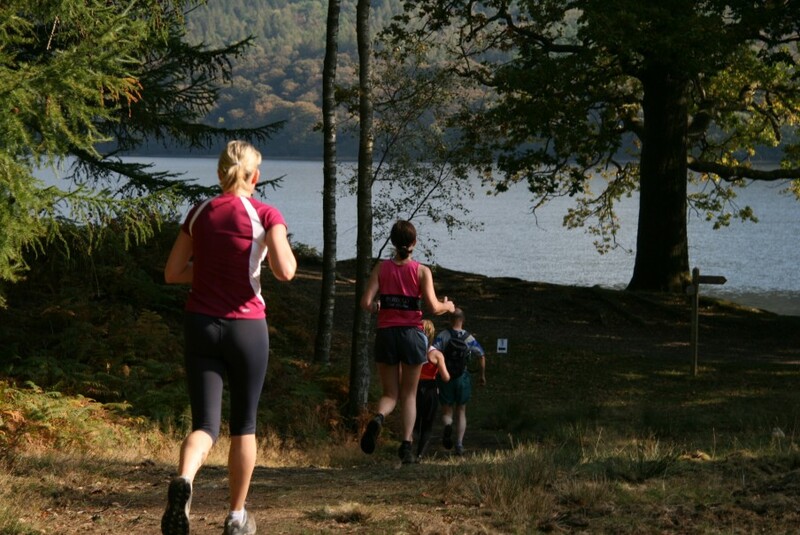 Memories come flooding back of the surprise on peoples’ faces, finishing the 2005 Garburn Trail in June, having another event in Coniston already planned for them in September. 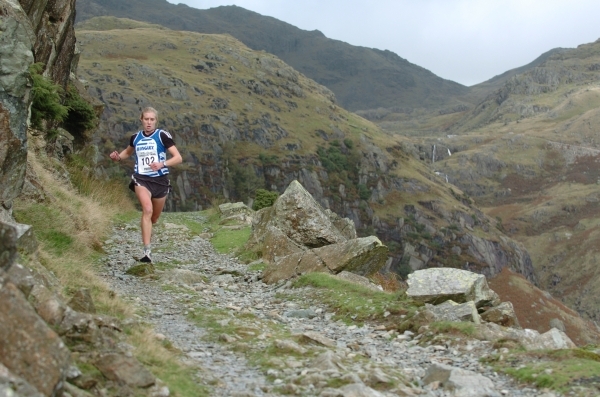 Trail running in the UK was in it’s infancy back then and completely new to the Lake District. We soon filled up all 500 places on offer. I hoped the Coniston Trail course would be a hit. The trail has a bit of everything, making a near perfect circuit. First going through the white-washed cottages of the honeypot village. Then climbing gradually on a good track, up past Coniston Coppermines and the Youth Hostel. Splashings of waterfalls and mountains rearing up vertically as a backdrop for company. Once height has been gained, a contouring single track through slate mines and out onto the Walna Scar Road. 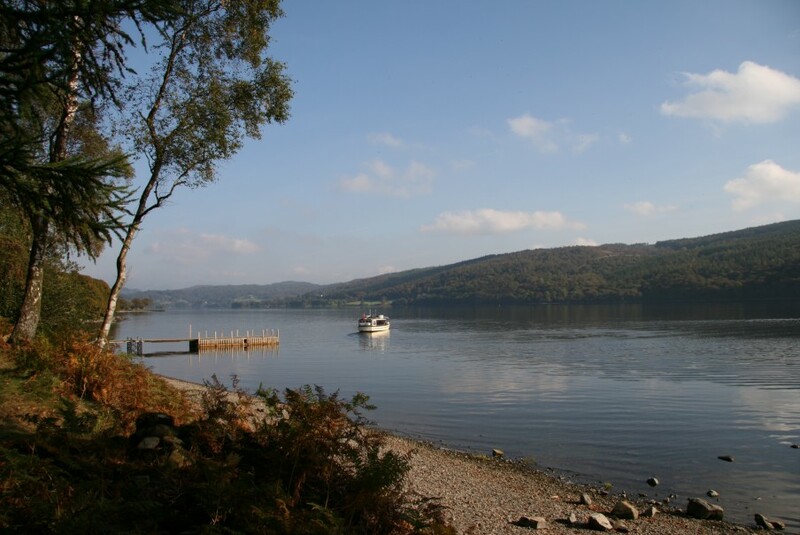 Spectacular views of Coniston Water, the shining level below. A long, winding descent takes you through ancient, mature oak woodland, back to the lake, with a couple of kilometres through trees dappled in sunlight along the lake shore. Autumn has got to be one of my favourite times of year for running. The air is cool, the low light creating spectacular views in the early mornings and evenings. The mountains are quiet again after the busy school holidays. Peace descends to the Lake District. 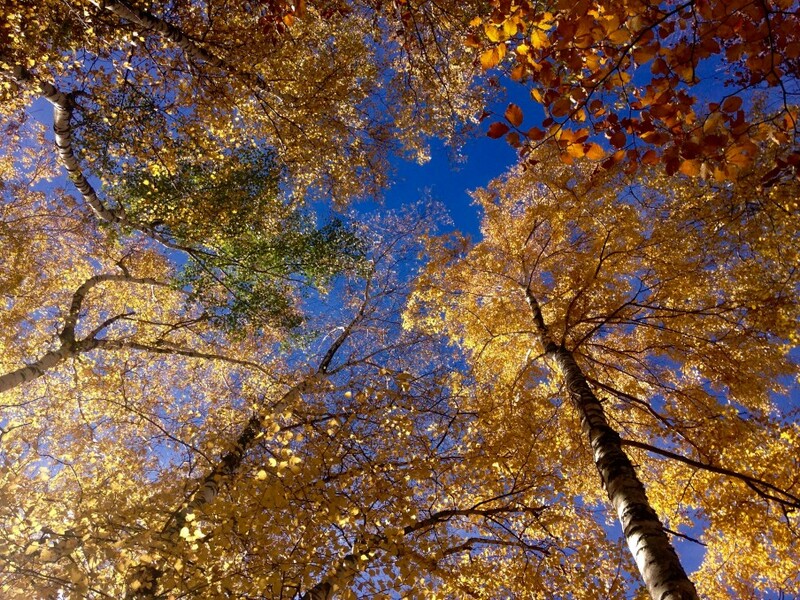 Trees steal the show, their leaves changing colour daily through September, October and November. Combined with bright sunshine, there’s a sense of magic all around. For me, this magic also gets sprinkled underneath the trees and for many, many years, I’ve enjoyed collecting wild mushrooms. This passion began when I was in my early twenties, living in Scandinavia. The thrill of the chase. Never knowing what you may find. I can smell the musty, rich autumn fallen leaves just thinking about those times. 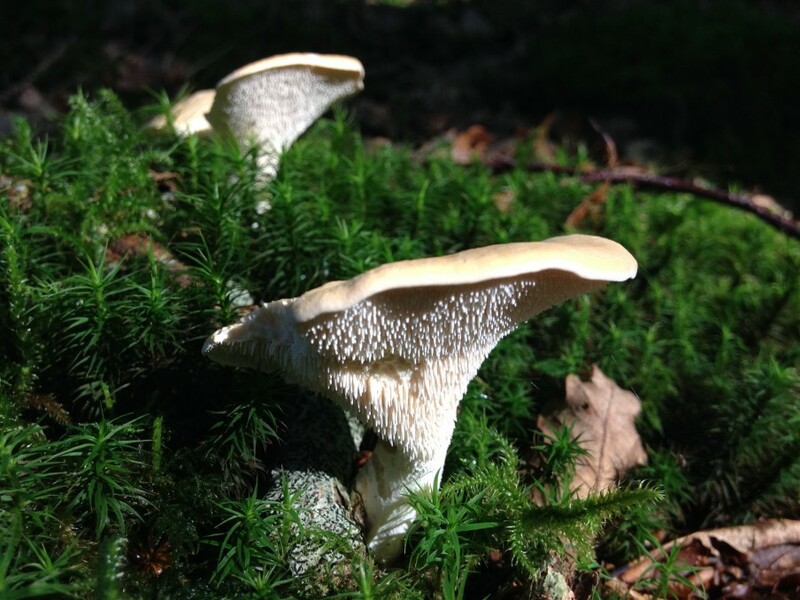 Or the spiny, almost white, hedgehog fungus? The mature oak woodlands around the pretty village of Coniston usually come up trumps. I always have a back pack on when I’m running during these months. Dinner is often a surprise. A celebration of one type of fungus or another. Which brings me back to the Coniston Trail. 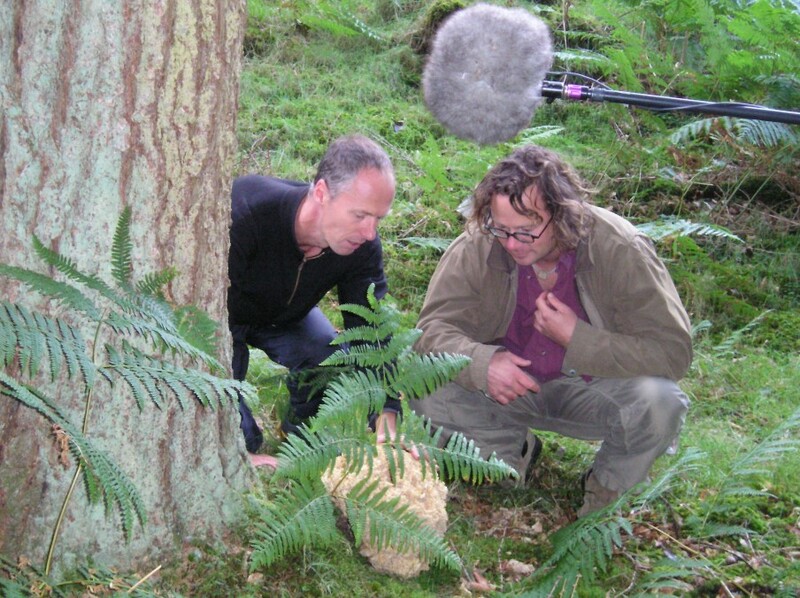 In late spring in 2005, I was in a meeting with the guys from Grizedale Arts at the Forestry Commission. One of the local farmers had told me about a big, new festival taking place in the village on the same weekend as the first Coniston Trail event. I needed to know if there was going to be any conflict with our event planning and logistics. It turned out that the “Water Festival” was mainly orchestrated for TV, some much needed publicity for the region in the aftermath of the foot and mouth crisis. A conduit for the River Cottage team who were going to be filming an episode of their popular television series on Channel 4. 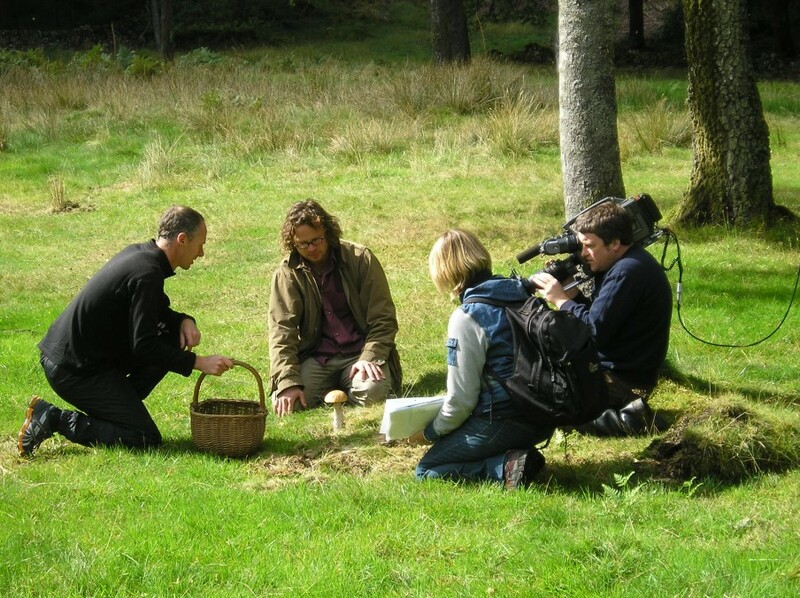 “If Hugh needs a mushroom guide, then please give him my number” were my parting words, meant as a joke. Imagine my surprise when a couple of months later I get a call out of the blue and someone from the River Cottage team, a ‘fixer’, wants to meet up with me. I guess all the other mushroom experts in the area were too busy that September weekend. 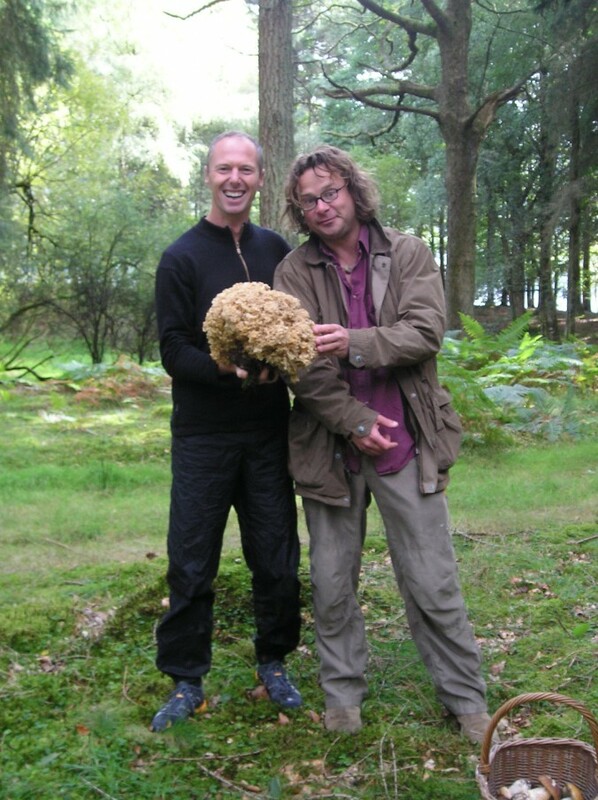 I’m a big fan of the River Cottage celebrity chef, Hugh Fearnley-Whittenstall, so when I get asked if I could find him a cauliflower fungus, I agreed without really thinking. “If I find one though, would you please ask Hugh to come and start the Coniston Trail event?” I was trying desperately hard to think of ways to gain some additional publicity. When I got home the enormity of the task hit me. I had only ever found two of these strange mushrooms before and never in the Lake District. 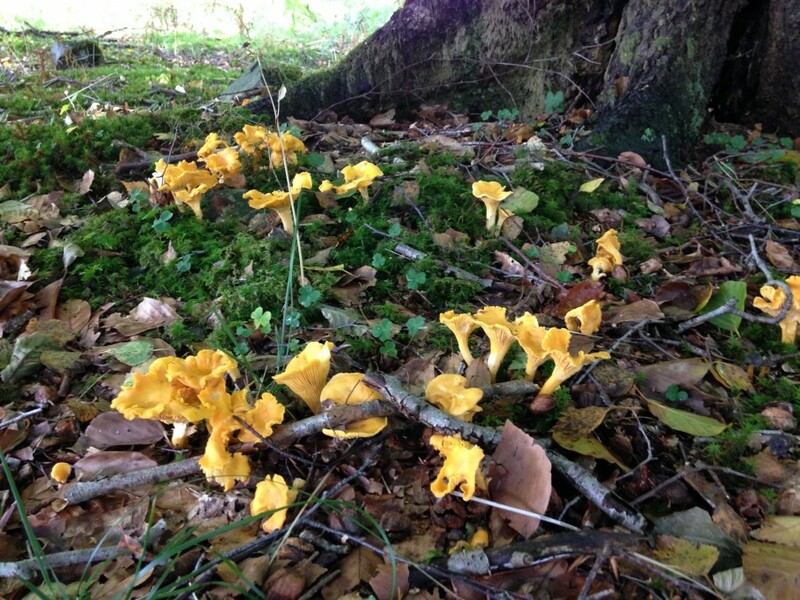 I knew they favoured growing at the base of conifer trees, particularly Scots pine. I scoured my maps for new places to try, making up new running routes for myself. Inadvertently, these ‘mushroom runs’ gave me new ideas about future potential trails in Keswick and Hawkshead too. It had been a dry summer, and I spent many, many happy hours running through likely looking ‘hotspots’, coming back each time with lots of other mushrooms, albeit not the one I was searching for. Filming was due to take place the day before the Coniston Trail and I struck lucky with only one day left. A perfect cauliflower fungus, the biggest and best I’d ever found. I met the River Cottage film crew on the shores of Coniston Water, having already spent a few hours course marking most of the Coniston Trail. Hugh was charming, and intrigued by me wearing running gear. 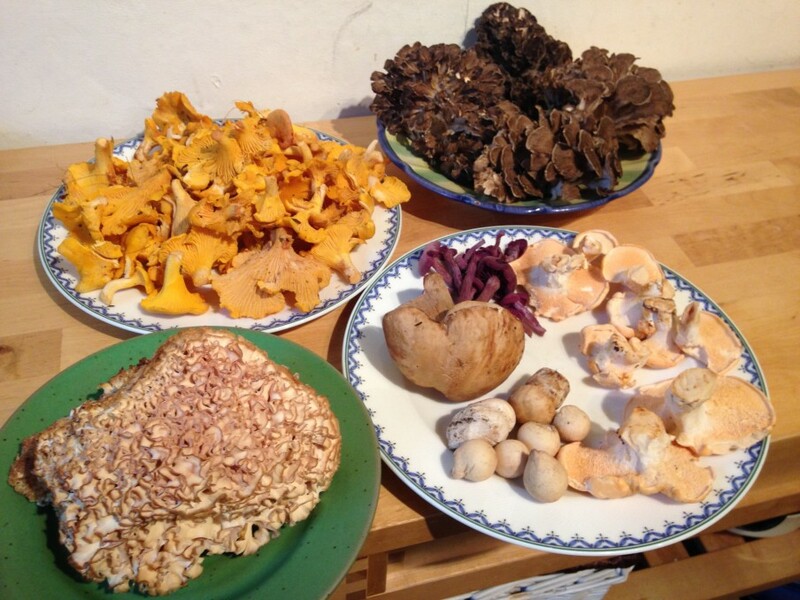 We got chatting, and when he heard this was how I go foraging for mushrooms, his eyes sparkled with ideas. We spent the next couple of hours running around the woods, all for just a couple of minutes of TV. Once the filming was done, we shook hands, I shouldered my pack and continued with the course marking. 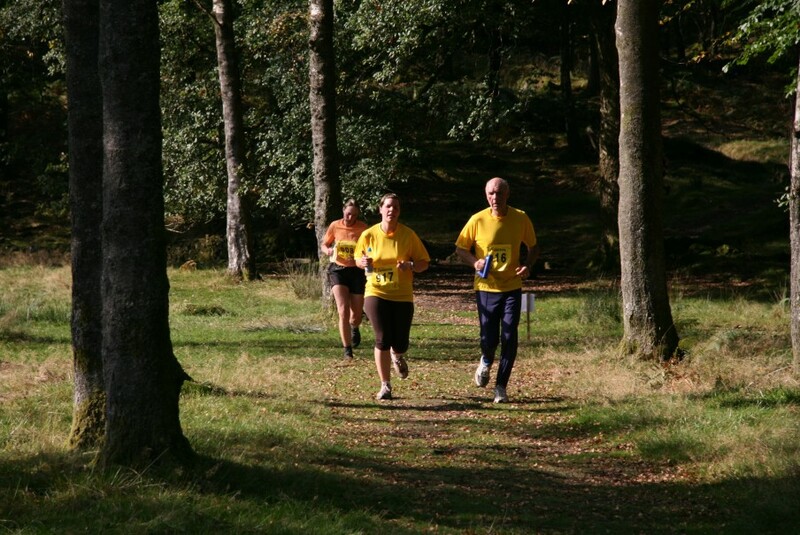 The following day the first Coniston Trail was a great success, the sun shone and the course was praised for being spectacular. Runnersworld magazine even gave the event the title “the most scenic race in Britain”. There was only one blip. 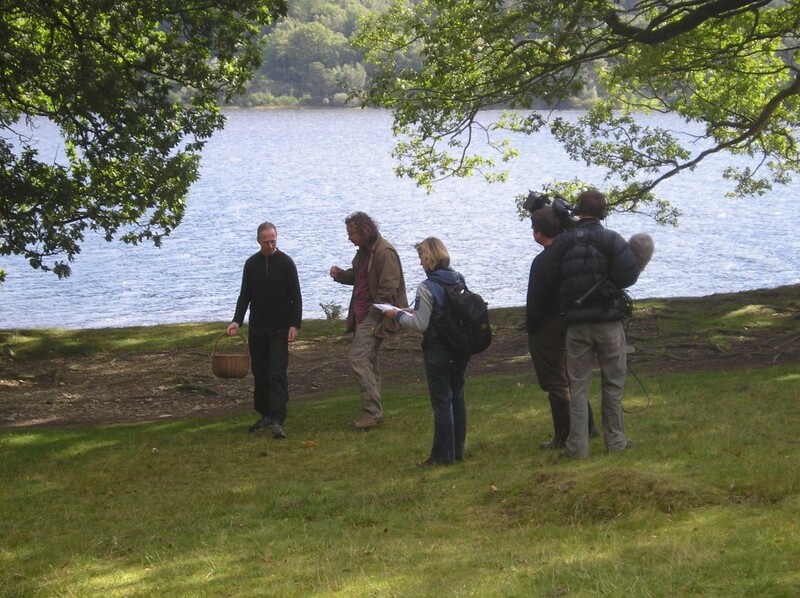 Unfortunately in the morning, Hugh got held up filming on the lake, trying to catch Atlantic Char, so we missed out on having a celebrity start the event. All these years later, I still get friends mentioning me being on repeat showings of that River Cottage programme on TV, running in the woods with Hugh chasing me. 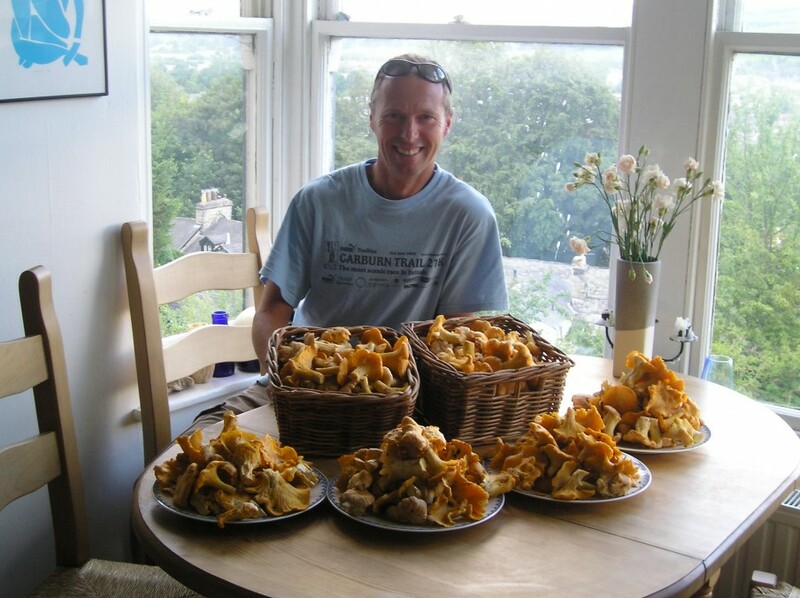 Looking back, what pleases me the most though, is all that time spent looking for potential mushroom sites back in 2005, increased my knowledge of new habitats no end. I now know where to find cauliflower fungus in many areas of the Lake District. Even better, both Derwentwater and Hawkshead Trails were born and added to the Lakeland Trails the following year. We’ve all got Hugh and a search for cauliflower fungus to thank for that. 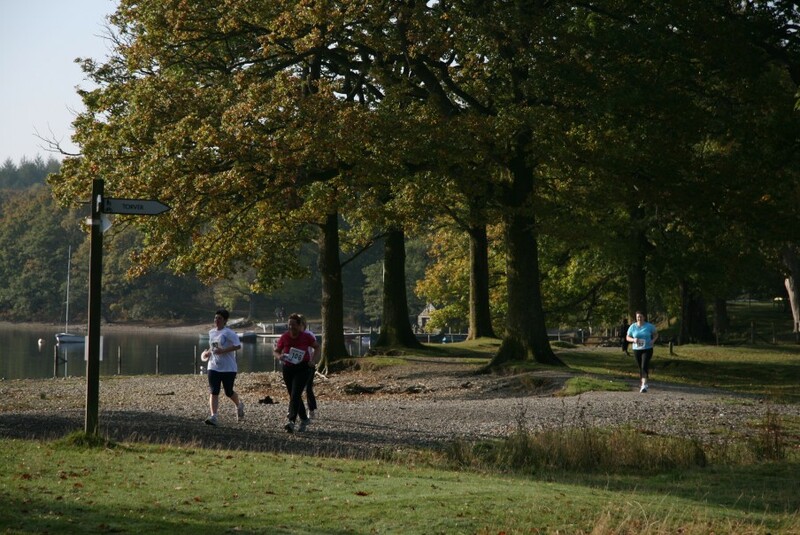 See you in Coniston on 22nd September for this year’s event?